Cardedu (OG), February, 22th 2018. Some days ago the IUTA has awarded the seventh edition of the Sardinia Trail, scheduled from May, 18th to 20th in Ogliastra: in fact it has become the only competition for the award of the title of "Italian Championship 2018 of Ultra Trail in stages" and a test of the Ultra Trail IUTA 2018 Grand Prix. "We are pleased with this recognition - says Gian Domenico Nieddu, president of the sports association GLESPORT and creator of the competition – arrived from IUTA which, at its last meeting of the board in Rome, wanted to give to this important event the title of Italian Championship 2018 Ultra Trail in Stages. The three stages in Ogliastra of Sardinia Trail are now an international event - concludes Gian Domenico Nieddu - it has become an important event at the beginning of the season". Gregorio Zucchinali, president of IUTA, expresses his satisfaction for the precious collaboration in 2018 with the Sardinia Trail which becomes a unique test for the Italian Ultra Trail championship in stages. The IUTA, acronym of Italian Ultramarathon and Trail Association, wants to be a tangible point of reference for athletes, managers, organizers, sponsors and media and for a great collaboration with the F.I.D.A.L. for the development of this type of sporting event. 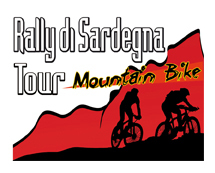 The prestigious mountain race, divided into three stages for a length of about 100 km, will be held on May, 18th, 19th and 20th in Ogliastra with the logistical base at the Hotel Club Saraceno in the Bay of San Gemiliano, among the most striking and enchanting island’s landscapes. The participation to Sardinia Trail will allow you to aquire 3 points for the qualification to the Mont-Blanc Ultra-Trail 2018.